MST began as a venture company in 2011. 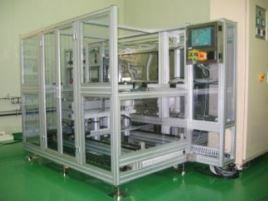 We display manufacturing and automotive parts manufacturing automation equipment production system has been built on excellent research and development of human resources. Building talents and rich practical experience based on high efficiency to meet customer demand production automation built stable business based on the customer`s own research and development part is going to make every effort and continuous research and development.